Leave the power wires at home. With this improved battery, we extend the play time to 4 hours. 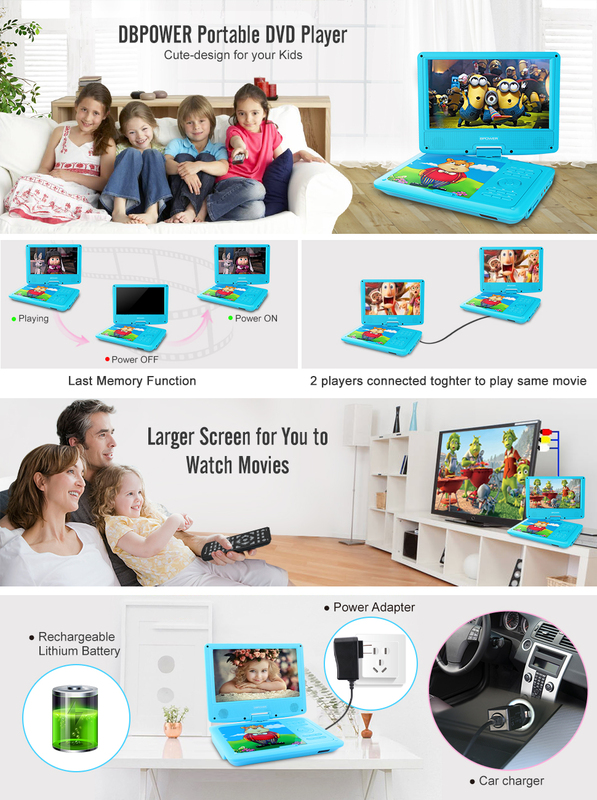 So now you can keep the kids entertained for longer and won’t have to worry about losing battery power suddenly. This has been perfect for road trips of 6+ hours. As long as it has full charge we make it without plugging in the whole trip. But, i do love that it comes with wall plug, car plug, and audio cords. Awesome player!!! And fast delivery!!! Lovely pink colour and easy to use! Works well and is easy to use. Sometimes sticks or skips on some DVDs and when using it while driving on bumpy roads. My daughter loved the pink colour! 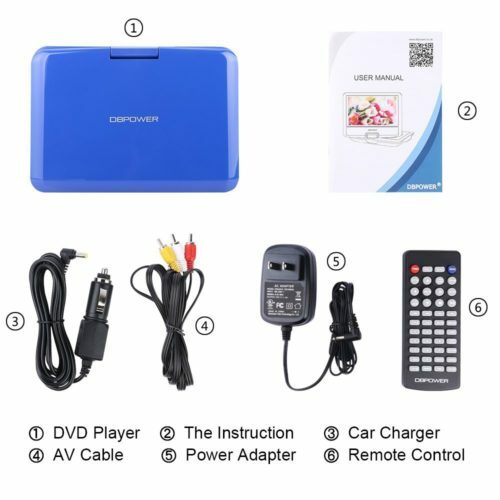 Bought this DVD player for my 3 year old son for road trips & really happy with it. It’s easy for him to turn on & control. 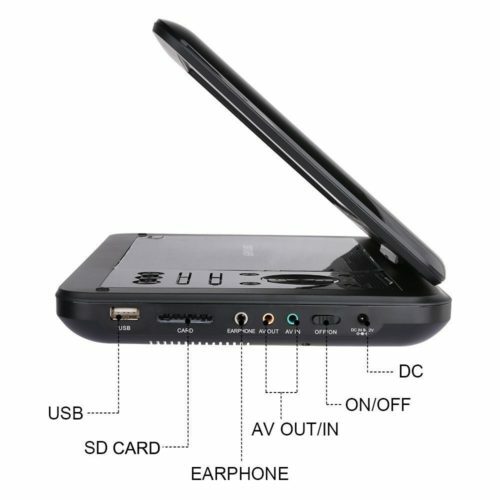 It has an excellent quality screen & good sound for a small device. Mom & dad evenused it to watch a documentary while kiddo slept. It works great! Best priced one for the value. My daughter is so excited about it. We will definitely recommend. Awesome DVD player! My daughter loves it! Was pleased with the design and easy set up. Also very happy with the sound quality, was afraid it was going to be too low but it was surprisingly loud enough that we were able to watch a movie with out headphones. very happy with product so far! My granddaughter loved this!! Kept her entertained on an 11 hour vacation trip!! Need a headrest holder so I can use remote was the only issue!! I bought this for my granddaughter for long car rides. It is lightweight and user friendly. She absolutely loves it. Love love love this DVD player; and so does our 1 year old! It was perfect for our long car trip! Saved our life! Great DVD for the money! Highly recommend for family road trips! Battery last long. Works well. Does not play MP4. Great for in the car! It’s not top of the line quality but for $38 it’s really nice and will work nicely in the car for my 1 year old. This arrived quickly and is easy to work by my 4 year old. Comes in very handy on long trips. 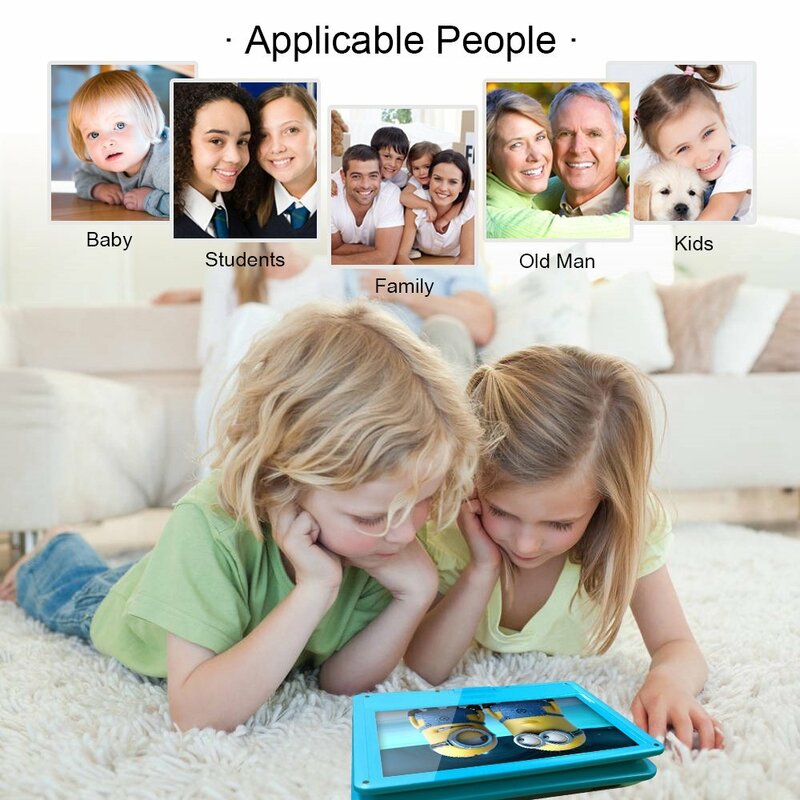 I purchased this product for my 18-month-old granddaughter to use while we are traveling. This is a nicely made product for an adult to set up on a table in front of the highchair while eating out at a restaurant to keep the little ones entertained. 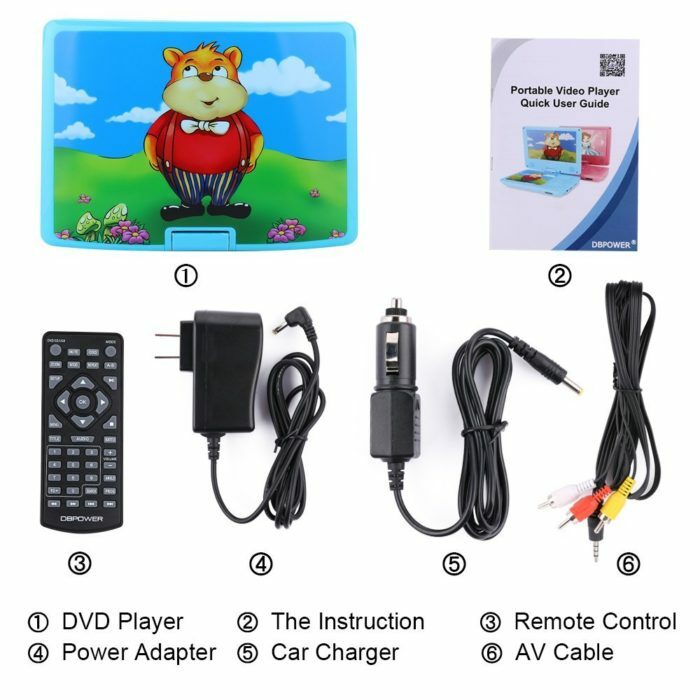 Since it comes with a remote control, it’s also great for traveling in the car when the little ones get fussy. Simply pop in a DVD and they quiet right down! I would definitely purchase this product again. Meant as xmas present so only tested but its nice quality and works good. Will update once its been used more. This DVD player is perfect for my 1 year old daughter. 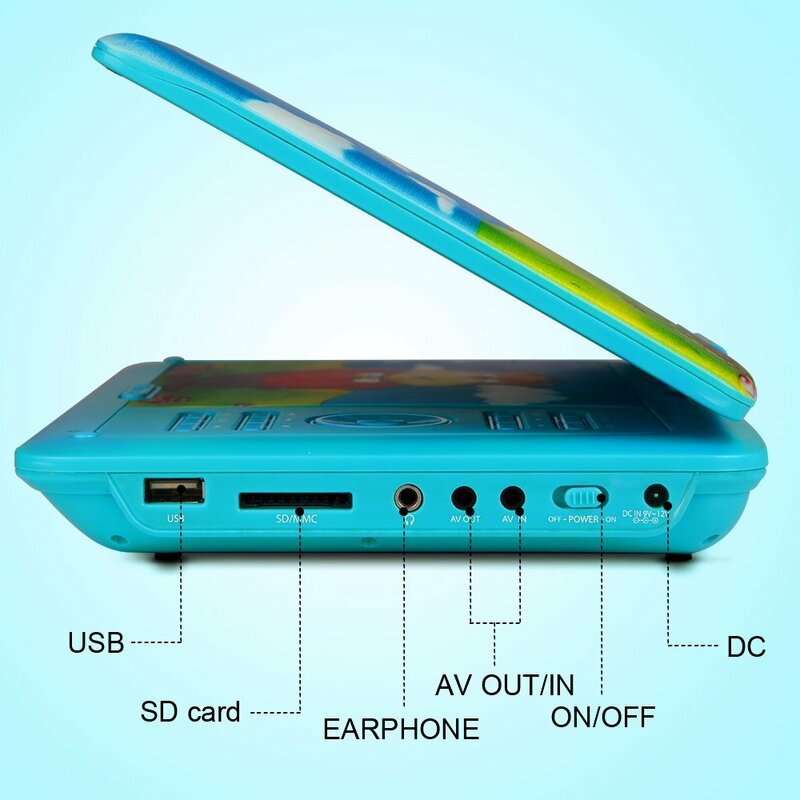 Its cute, compact, and the screen is very clear. 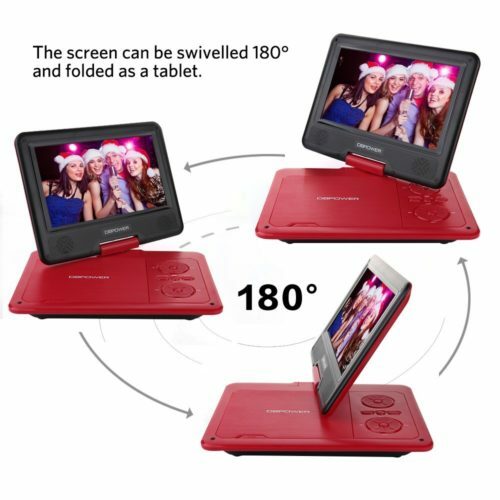 The swivel screen is very durable and it is toddler tested and approved! I would definitely recommend this. I like it so far. This appears to be a good quality product. The price is right. Ordered this for my 8 year old. Love the size of the screen and the easy operation! We have used it in the house and in our camper. Looking for a headrest mount so we can use in the car! 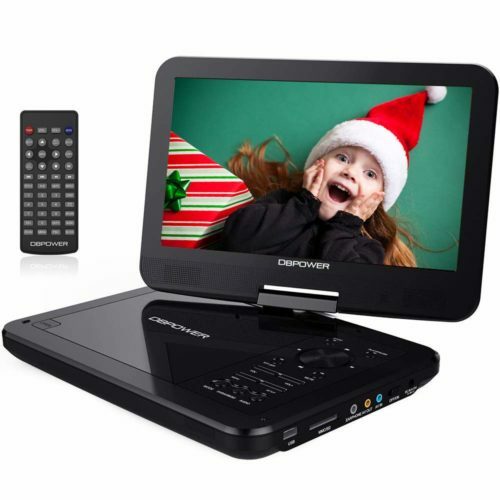 If you are looking for an affordable portable DVD player this is a great one! Great DVD player for my 3yr old to use on car trips. Definitely got what I was as looking for and then some! My little princess especially loves that there are “princesses” on it. First one didn’t work but they replaced at no charge and the new one works well. Cute DVD player bought for a great price. Works as advertised. Has good volume. Nice added feature is swivel screen. Would purchase again. Worked great for traveling. My son really enjoyed. The picture quality and sound are both top notch. My daughter loves the pink and princess design. Very compact! Colorful for kids! The DVD player looked just as pictured online. It was very well packaged. It was easy to setup and use. 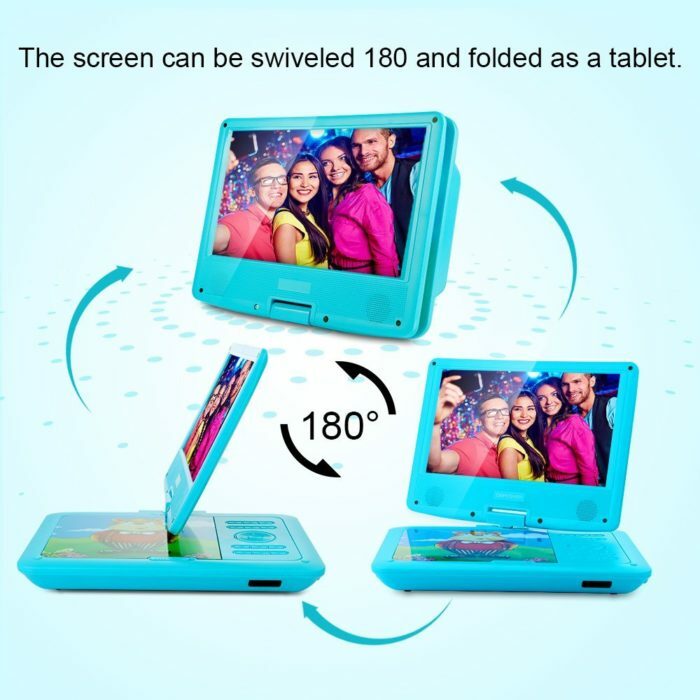 I love that it swivels and will fold flat and the screen can still be used. I love the color and the princess. It is very colorful.. I bought it for my 5 month old to start watching educational videos. The warranty was easy to setup since they email you about it. I love this DVD player. It’s sturdy, dependable, and easy for kids to operate on their own. It even comes with a remote! Well worth the price. 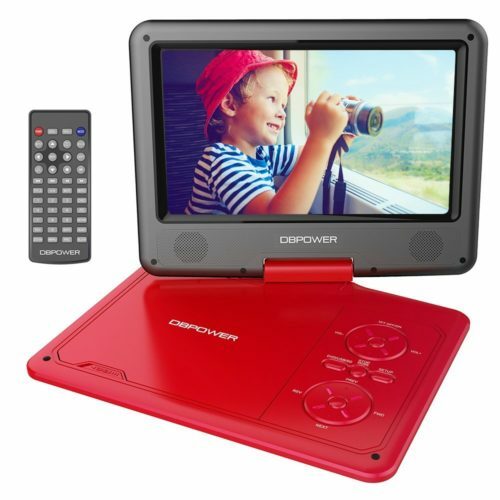 I was very impressed with the size of the screen (the other 2 kids were jealous) the picture and the sound are great and the remote is perfect.. we are going in a trip and this will allow me to control the unit from the front seat. I got this for my granddaughter for when we travel (we visit family and it’s 8-12 hours each way). I wanted an option for her that wasn’t one of our cell phones for entertainment. This worked really well. I charged it up the night before we left and we watched three Disney movies before the battery flashed low. It’s very lightweight, and she liked that it was pink with a princess on it. Here are my pros/cons: Pros- easy to use, came with both wall and 12volt plug charging cords, remote control was included, also had rca plug ins, decent size screen, good picture, screen swivels Cons- sound was ok but didn’t seem very loud, I’m concerned if it gets dropped at all it will not fair well (yes, I know, same with most electronic devices). Overall, I’m very happy with this purchase and would recommend. I had a 15 hour road trip planned with my 2 kids, so I ordered 2 of these. They’re super cute and my kids loved the fact that they are colorful and pretty. I will also note that since I received them 1 day before I left for the trip that I didn’t really have much time to try them out or teach my kids how to use them beforehand. That said, my 4 and 8 year old kids figured out how to use these with very little help from me, so I would say they are very user friendly. I didn’t buy the headrest mounts, so they kept them on their laps and kept referring to them as “my computer”. So really a huge hit with the kids. As for the drawbacks, one of the two I purchased did not charge at all and had to be plugged in at all times, which was not ideal but manageable at least because they do come with a car charger. The only other drawback for my longer car trip was that the battery life was relatively short for my needs (the charged one lasted 3-4 hours, so as expected per the description, but I’d have paid a little more for a longer battery life). Since we only have one charging port in the back seat of my car, these could only be charged one at a time, which again was not ideal given that one of the units did not charge at all and had to be plugged in at all times to work. Definitely caused some fights there. I’d have paid extra for the option to have a dual charger. The chargers do not have a detachable USB, so I had no option to buy a dual charger and plug in both USBs. The units come with totally separate cables for home and car charging, and again I’d have liked one cable with a USB port that I could attach to either the car or home charging base, which would give me more options to buy a car charger that would accommodate both units, or if the need arises to replace either charger in the future, I think it’d be easier to get (or use one I already have) as opposed to trying to find the exact charger I need. Overall these were a great buy and my kids loved them and they really kept them busy for our trip. Just a few bumps with the issues mentioned above but I would buy again. We just used this on our first road trip with out two and half year old and it was great!! She was, at times, rough on the DVD player and it held up great! Very happy with this purchase – made our road trip much easier. Great for Long Road Trips! My daughter loves her new dvd player! The screen size is good, and the picture displayed is clear. We are planning on using it in the car during long road trips. I think it will work well for that too! my daughter is always in the car with me and we like to do long drives. she loves it , I love it! it makes her quiet during the car rides which is the reason why I got this!! its perfect for kids and long drives !!! The first one arrived damage, but contacting the seller made everything perfect! Thank you so much my great nephew loves it! My 4 year old loves this! It holds a charge very well and charges quickly & it’s simple enough for him to use. Only downside is this one has a yellow line down the screen when playing a movie but my son doesn’t seem to mind so oh well. So far, I’m pretty impressed. 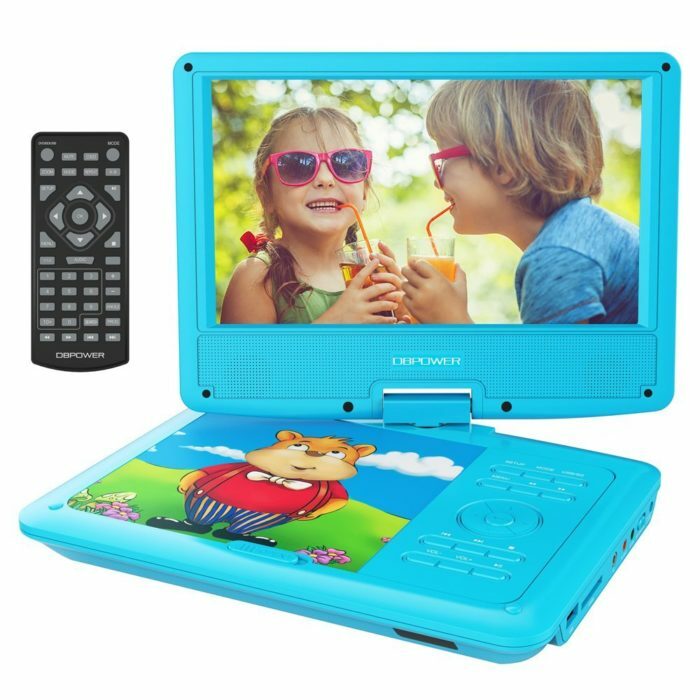 My 3 yr old loves it bc it looks like a little laptop, but I like that it can rotate around and be used w a mount also. Also love that it has a chargeable battery, and car/wall plugs, so this can go anywhere! We had an issue with the first DVD we purchased and the company sent a replacement right out. 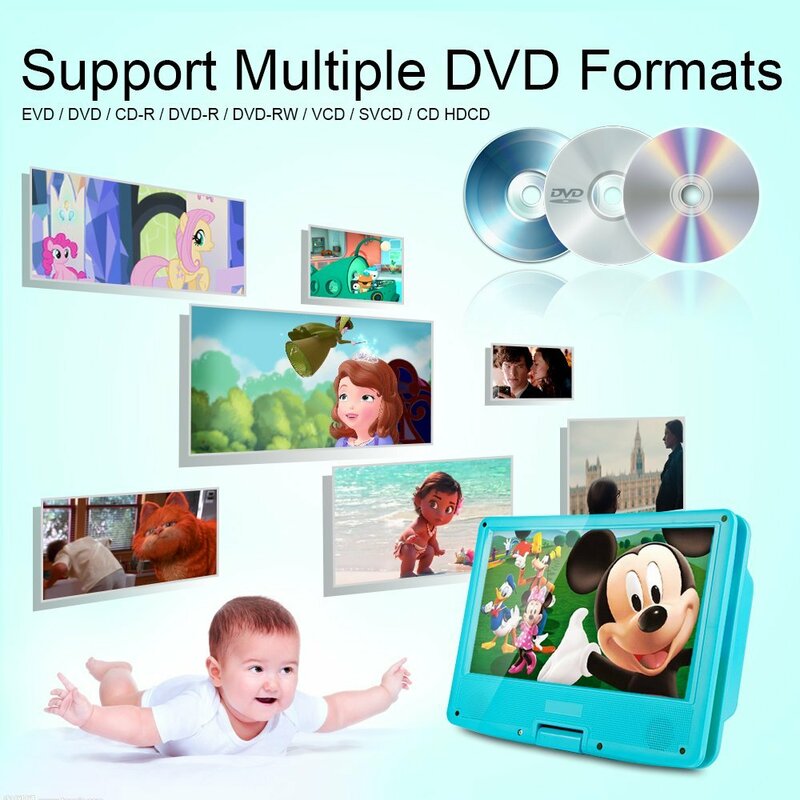 This DVD player has great picture and perfect for little ones. Great customer service!!! I purchased two of these DVD players, one in pink and one in blue, for my 7 year old twins and an upcoming road trip. So far, they are a great size, sound and picture quality is very good, and the kids figured out how to use them on their own very quickly. 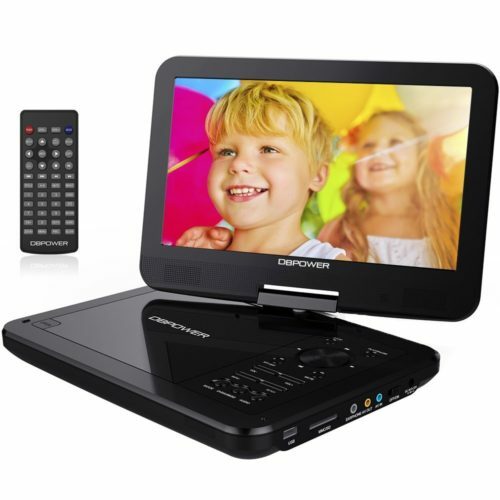 We all are enjoying the fact that no one can argue about whose is whose as often happens in our family when one of our generic black portable DVD players runs out for batteries and the other has not. Great excellent product for my son. Love it! My 3 year old nephew loves his new DVD player!! My great nephew just made three years old and I got him this for his birthday. It’s his first DVD play and he absolutely loves it. The sound is great and the picture is clear. He has not put it down since I have it to him. He is only three so I did not teach him about the remote yet, but he can handle the features on the DVD with little assistance. The weight is perfect. He carries it all around the house and in the car. I love this DVD player. It’s awesome for my son and it keeps him occupied while I’m driving. I absolutely couldn’t have been more happier. Money well spent! It’s a cute, affordable, and convenient DVD player. Great for road trips. We got this at a perfect time. It has been storming and my 2 year old it terrified. I charged this player for only about an hour and my daughter has been watching mickey and weeding for 2 hours. The picture quality is AMAZING and it’s adorable. Pro’s: Works great. Just what we needed for our trip. Complete charge in 3 hours. Even has a low battery indicator when the battery is close to running out. Battery lasts over 5 hours on a full charge. Price was right. Con’s: Wish the Dvd player had a Mute switch on the player itself. You must use the remote to mute the sound. Am thinking about buying another one. 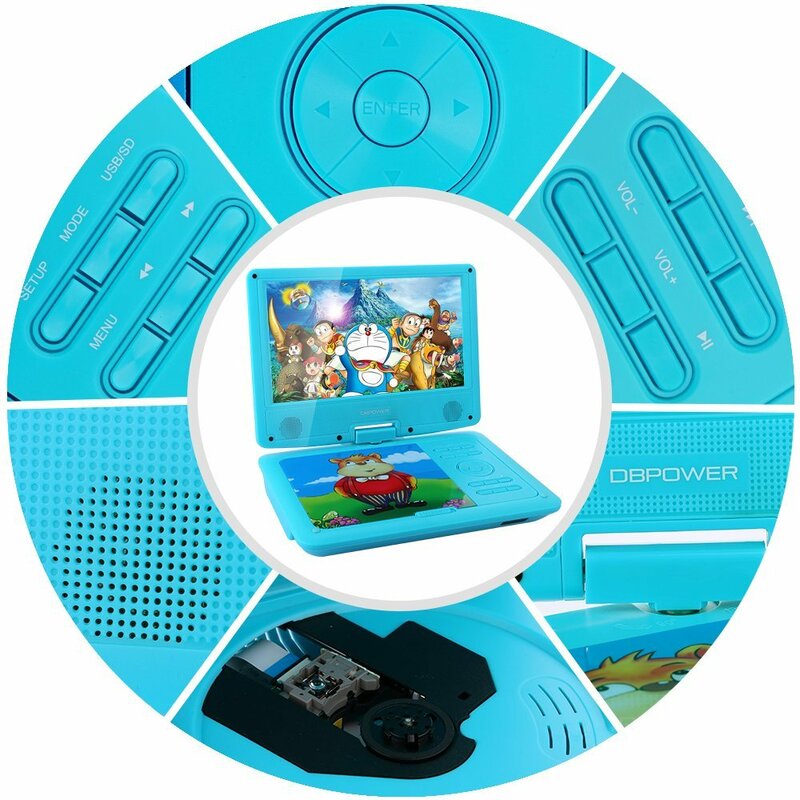 Excellent DVD player for kids! Perfect for kids! Bought for my son to use in the car and it is perfect for him! I purchased this one specifically because it folds down and he wouldn’t be able to get to the buttons while watching a movie and it has far exceeded my expectations! The picture quality is great and the volume levels are too. The battery life is also pretty good for a portable DVD player. Highly recommend this product! I bought this to replace my daughter’s old no longer functioning player. It arrived quickly and was put to work immediately. She absolutely loves it! It works great and we have had no issues with it what so ever. I chose this player because it’s had some great reviews and it’s very reasonably priced. SO happy with this purchase! The DVD player I was sent originally worked wonderfully, but would not hold a charge. I contacted customer service and they sent me a replacement immediately. Great DVD player, even better customer service.